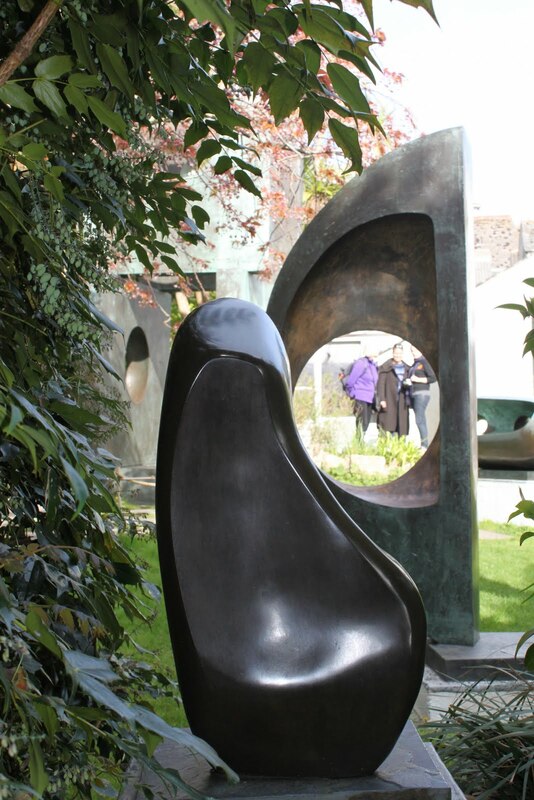 Barbara Hepworth has now attained international status as one of the few twentieth century sculptors of first rank. Her work is collected by museums across the world and her practice exemplifies Modernist idealism that she shared with Henry Moore, her contemporary. So visiting her former home in St Ives, now run by Tate, felt more like an act of respectful curiosity rather than devotion. But the modest house on the corner of a steep residential street set back from the harbour proved to be one of the highlights of my visit to Cornwall. Unlike the pristine, curatorial control of an art museum, an artist’s home returns the visitor to the character and preoccupations of the original occupant where they once worked in seclusion, an environment fashioned for inspiration and productivity. 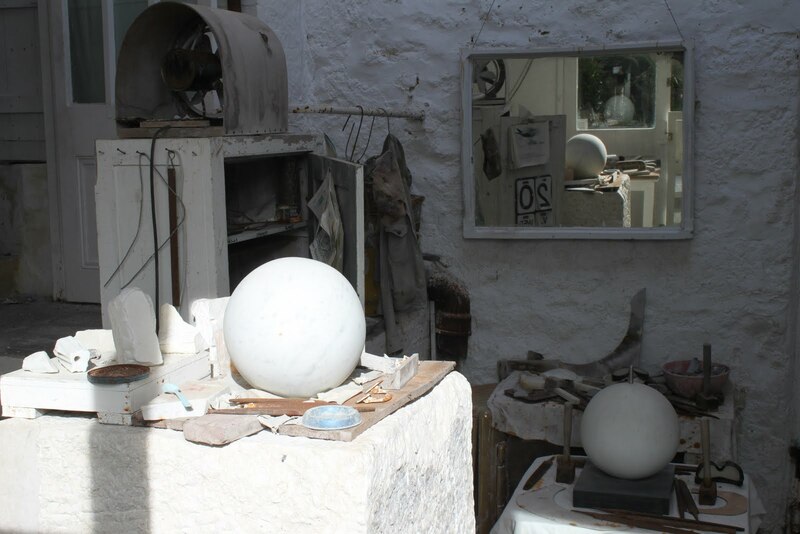 Hepworth died several decades ago, in a fire that took her life in her 70s while she was continuing to work. Here her life is almost uncomfortably exposed: a daybed still sits shoehorned into a tiny gardening shed, whose quilt now has a blemished, moth-eaten appearance; her tools are aid out on a work bench with a forbidding instruction to her former assistants not to remove anything; original plaster maquettes are forever exhibited in situ for the tourist as if she had been preparing them the day before; and the plants she chose still grow on a modest patch of ground with views to the sea. Such details exhume the personality of the artist, whose life is also documented by a series of original photographs and letters arranged chronologically in glass cases in the main entrance. She uncannily resembles Bette Davis in looks and character too. There is a determined, confident quality to her features. Hepworth seems to have applied a forceful, driven energy to her ambitions and there is a hint that undeniable charm accompanied any obstinacy. It’s difficult to develop a fresh eye on the work, which is now so iconic and familiar, a sculptural language that has in time with critical approval has become emblematic of modernist abstraction. Much of the work is carved in wood or stone, with visible marks of the tools she employed to determine positive and negative space. Hard and resistant materials are tempered, yielding up apertures, which introduce spatial relationships within the garden. Sometimes as you look through the sculptures, visitors fleetingly cross into your field of vision. But it’s difficult to deny the timeless certainty and purity that the artist aspired to engender. She is quoted in the entrance as having identified universal shapes as a child in the landscape where she grew up. Like Moore, she spent her life as a sculptor tapping into ‘significant form’ that she felt to be timeless and cross-cultural, an embodied humanism that could speak to all audiences and articulate enduring values. But the true revelation of the house is actually the garden, filled with succulents and other plants more commonly found in the Mediterranean and other temperate regions of the world. 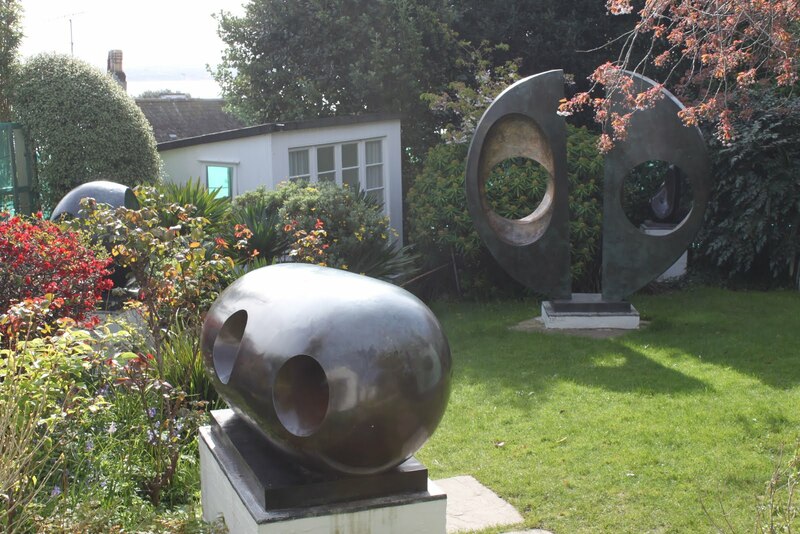 Closely planted on a steep hill overlooking the town and sea, Hepworth’s garden exploits St Ive’s mild climate and generous sunshine. Instead of heading south to France or Italy, Hepworth remained attached to her English roots while taking advantage of this fishing port’s famous light that apparently arises from the being on a peninsular surrounded on three sides by the sea. Hepworth’s passion has an undeniable English restraint and intellectual quality, but a sublimated passion is still present and surprisingly engaging. We might then think of her Yorkshire flintiness transported to the English Atlantic as a concession to European influence to produce an instinctive Modernism without Brancusi’s distracting eroticism. For all that, Hepworth’s work sited in its original studio context, gently guides one to the desired contemplation and pleasure that she intended above more mundane, earthly concerns such as earning a living on the waves below. A blog reviewing Modern and Contemporary Art.